Lazar Berson was born in 1882 in the village of Skopichky, Russia (now in Lithuania). Little is known about his early life, although he probably spoke Yiddish at home and received a traditional Jewish religious education. At the turn of the century, he studied painting in St Petersburg, where he was influenced by the Jewish cultural renaissance and the renewed interest in Russian and Jewish folk art and craft. Berson took these ideas to Paris, where he continued his studies, probably as a student under Professor Cormon at the École des Beaux-Arts. Later, Berson described studying 'together with a prayer quorum of Jewish children', referring to the large number of mostly eastern-European Jewish émigré artists then working in Paris. Between 1911 and 1912 he exhibited at the Salon d’Automne alongside Marc Chagall, Léon Bakst, Moise Kisling and Jules Pascin, and lived at La Ruche (the beehive), at the same address as the sculptor Jacques Lipchitz. In contrast to other École de Paris artists who embraced modernist styles, Berson maintained the decorative approach to traditional folk art and sought to develop a specifically Jewish type of art. Following the outbreak of the First World War, Berson moved to London, where he set up a portrait studio and wrote articles for Jewish and Yiddish newspapers, espousing his uncompromising Jewish nationalist, Zionist and fierce anti-assimilationist views. In 1915, he realised his long-held ambition of forming a society for Jewish art when he founded 'The Jewish-National Decorative Art Association (London) Ben Ouri', in Whitechapel. In 'the Ben Uri studio' in West London he brought together a number of East End artisans, who together with the jeweller Moshe Oved worked on a series of decorative 'Jewish' designs on wooden plates and bowls. 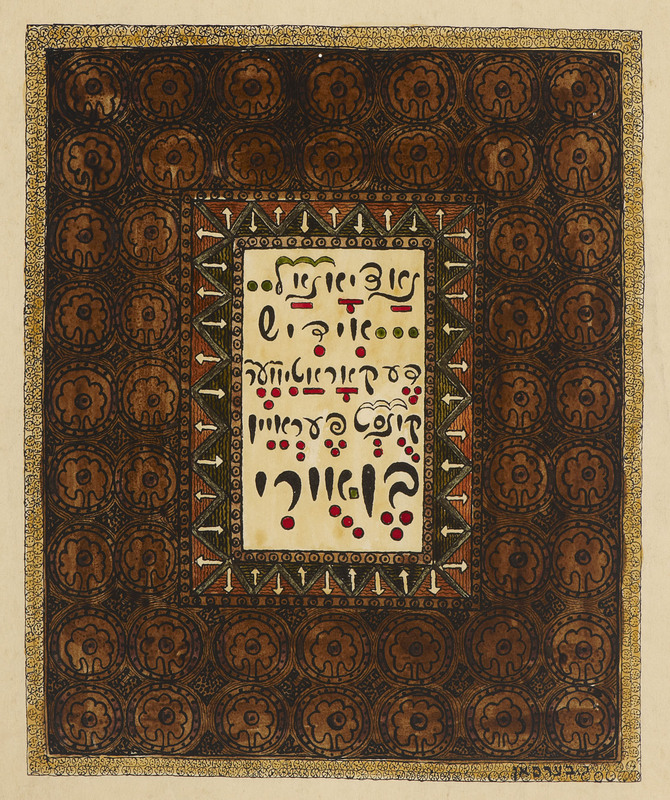 In addition, Berson produced the Ben ouri albom, 'one of the world's first Yiddish art albums', printed in 1916 by the Ukrainian-born Hebraist Israel Narodiczky (1874–1942), as a fundraiser. By 1916, the Society had over 100 members and had organised many events and classes, but in September of that year, Berson left without warning for America, only resurfacing late in life in Nice, where he continued to work as a painter until his death in 1954.